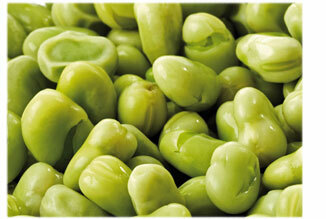 The Broad Bean, a jewel of the summer crop! Pod your beans, extracting the kidney-shaped beans from their soft-downed pillowcase. Discard the pods. Blanche, or parboil the beans by tipping them into boiling water for about two minutes. Remove the beans from the pan and plunge them straight into cold water, with some ice cubes added if you have them. This will stop the beans from over-cooking and preserve their colour. Now peel the beans. Taking off their tough overcoats will allow the fresh, sweet flavour of the fabulous jade-green pulses to shine through. It’s a fiddly task, but so worthwhile! Finely chop three or four rashers of pancetta (or bacon) to create shards of the pink cured ham. Add to a saucepan containing just a dash of hot vegetable oil and fry over a moderate to high heat until crisp but not burned. Remove from the pan and leave to rest on a sheet or two of kitchen paper, to draw off as much of the surplus oil as possible. Chop the shallots as finely as you can, to add flavour but without adding too much texture. Shred the basil (a dozen fresh leaves) by rolling up a clump tightly and then slicing crossways with a sharp knife. 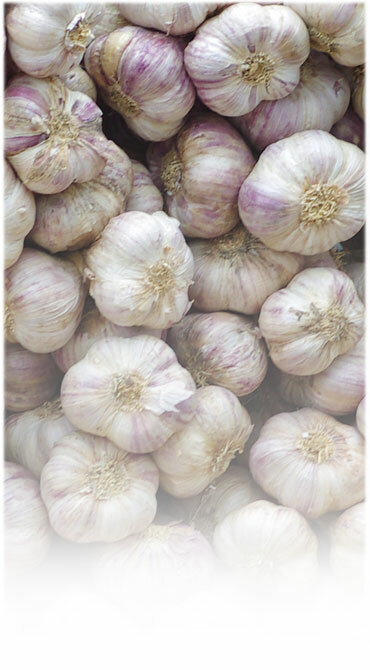 Prepare the garlic by slicing finely, or chop into small pieces and pass through a press if you prefer your garlic less obvious. Add the garlic to a pan with a little vegetable oil and cook gently. Once ‘sweated’ and soft, add the shallots, and cook for a while longer until the shallots start to become translucent. Then add the double cream and bring to the boil. Add a twist or two of freshly ground pepper to taste and then squeeze in the juice from half a lemon. Bring back to full heat before adding the beans, and stir them in well to ensure that they are totally coated with the sauce. Bring back to full heat and warm them through, but don’t allow them to cook any more than they already have. Add the basil, setting aside a small amount to use later as a garnish, and stir through quickly. Take the creamy beans off the heat and serve them on a warm (but not too hot) plate. Sprinkle the pancetta across the top and garnish with the remaining basil. Use as an accompaniment to meat or fish, or serve on their own as a tasty starter. If you like the sound of this recipe, then watch Sonia prepare her Creamed Beans with Pancetta by clicking on the link, top right, to view her video on The Guardian. Preparation time: approximately 25 min. 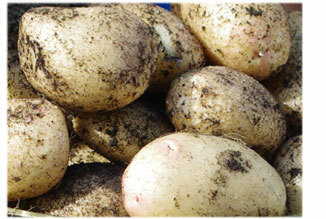 Firstly, wash and peel the potatoes and cut into small cubes roughly 1 cm (half an inch) in size. Place these into a saucepan of water and bring to the boil, allowing to simmer for 10 minutes until they start to soften. Drain the water and set the pan to one side. Whilst the potatoes are cooking, finely chop the onion and add the garlic, either chopped finely or squeezed through a press. Also prepare the spinach by cutting into short, narrow strips across the leaves and then setting aside. Place the oil into a pan, bring to the heat, and add the mustard seeds to the hot oil. Stir quickly and briefly, before adding the onions and garlic. Fry for 5 minutes, stirring regularly, so that the onion begins to soften and brown. Now add the chopped spinach and continue cooking for a further 10 minutes, stirring frequently to prevent catching on the bottom of the pan. Finally, sprinkle in the cumin and Garam Masala powder, stirring as you do, and then toss in the potatoes. Stir for a while longer to get the heat back into the potatoes, seasoning with salt and pepper as you do, and then serve. Start by washing and pat drying the beans, Top and tail them. 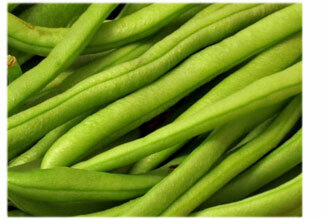 If you’re using Runner Beans, make sure you strip off the fibrous edge, before trimming the beans into regular pieces the length of your little finger. They don’t have to be perfectly even, but they’ll look better on the plate if they are! Peel the ginger and then chop or grate into fine pieces. Do the same with the garlic, finely chopping the clove (or force it through a press) before frying, together with the ginger, in the heated vegetable oil for about 2 minutes. Sprinkle in the ground turmeric, cumin and coriander, and stir continuously, still over the heat, for another minute. Finally, add the trimmed green beans and the freshly chopped coriander leaves. Stir in the 3 tablespoons of water and season with salt to taste. Cover the pan and leave to cook at a moderate to setting (not too hot) for 25 to 30 minutes. We will add more recipes soon . . . . Follow the link above to enjoy Sonia Kidney's wonderful recipe for Broad Beans, featuring Mark Stay of North Aston Organics, and published on-line by The Guardian.